Finding investment capital is a serious an issue for many rural communities. Solutions may lie closer to home than we think. Rural communities in BC, Alberta, Nova Scotia, and the United States have demonstrated that when given the opportunity, rural residents want to invest in businesses in their communities. For example, could Community Economic Development Investment Funds serve as a model for rural BC communities? 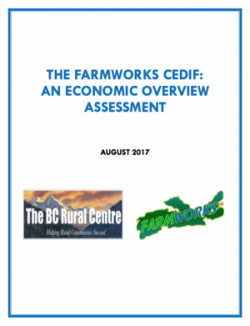 A BC Rural Centre – FarmWorks report suggest the answer is yes. And Rankin MacSween underscores the importance of investing locally in Cape Breton, Nova Scotia. What Is It About Sangudo? This Rural Town is Getting a New Lease on Life — Can Yours, Too?